Bookvip - Customer service was rude, hard to understand and kept putting me on hold. Customer satisfaction is the mainstay of BookVIP’s business and the issues you encountered with the BookVIP Customer Service representative are being investigated and will be dealt with appropriately. Our promotional packages are subsidized up to 77% of the retail rate by the participating resort provider. 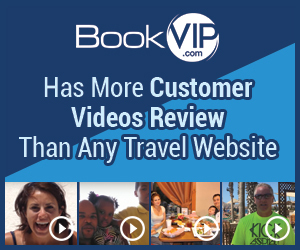 To ensure that these rooms are available to the customers for whom they were intended, the participating resort provider sets forth certain eligibility requirements that must be met in order for BookVIP to be able to offer the package to potential guests. The eligibility requirements can be changed at the resort’s discretion. BookVIP is only the booking company and must abide by the resort’s dictates. It was the resort who contacted BookVIP stating that you were not qualified for tour due to the previous bankruptcy. Ultimately, you were granted a “courtesy” tour of the property and the resort did not charge us (or you) any penalties. I had booked a $99 3 day 2 night vacation at the Kennebunk Inn in Maine. After showing up for our 90 minute presentation we were told that we would not qualify because we had a bankcruptcy of which we were discharged from in 2014. In the terms and conditions of our agreement for our book vip vacation it stated no person may be in bankcruptcy or have any liens. Since we have been discharged 2 years ago and have no liens we agreed to the terms. We were then told at capital resorts that we would not qualify for financing because we had a bankcruptcy within3 years so they told us that they didn't want to waste our time. They told us to call Bookvip and they would still honor the $99 rate. When I called I was put on hold several times, the woman and guy that I spoke with were hRd to understand and kept hanging up on me. When I did get someone she kept saying you have to pay the penalty. She couldn't speak English and that is all she could say. I went back and spoke to James at Capital Resorts and he stated that he spoke to his financial institution and they would allow us to get financing and we went through with the presentation. James called Bookvip for us and stated he cleared things up. We no sooner were done with the presentation and we got a call from someone who was very rude and he said we owed $150 per night and did not believe me when I stated that we went through the presentation. He said he would call us back when he got ahold of capital resorts but he never did. I have never been treated so rudely. I would never recommend you company to anyone. You had better not charge my credit card the penalty either as you will be hearing from my attorney. I didn't like: Bait switch pricing, Worst experience ever, Customer service. Review #868095 is a subjective opinion of User868095. This has just happened to me as well! Please file a complaint with the BBB so that others can be warned in advance! Hanging up on people and hard to understand is common for BookVIP. Then they change the dates and tell you your hotel is not available even once you have purchased plane tickets.